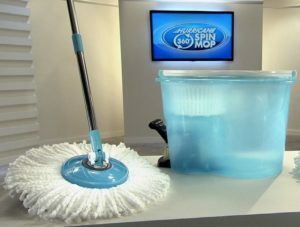 The Hurricane Spin Mop was born out of 2 scientific principles: leverage and centrifugal force. On the one hand, leverage was used to maximize the speed and easy use of a pedal to power a spinning basket. On the other, centrifugal force was applied to draw excess dirt and liquid out of the mop head, thus simplifying the wringing process. These 2 forces combined in 2011 to deliver what has become the #1 selling spin mop system in the US making floor cleaning better than ever before! Over the next 5 years, spin cleaning became synonymous with effective cleaning. Quicker, better cleaning with less work became the standard for others to follow. Fast forward to 2016 and the Hurricane brand has evolved into a leading cleaning solution for the entire household. With 2016 the introduction of the Hurricane Spin Scrubber and the later introduction in 2017 of the Hurricane Spin Broom, the Hurricane brand has established itself as the go-to solution for millions of users every day. Click Here To See Our Lineup Of Hurricane Products.